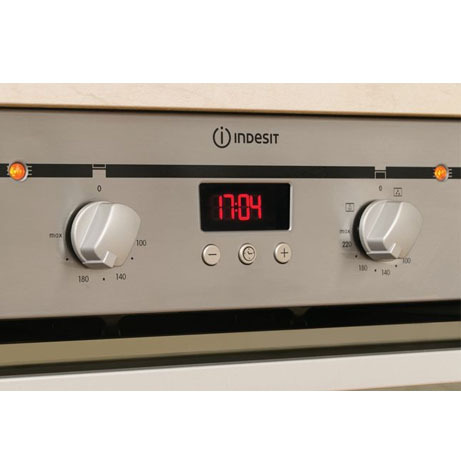 This Indesit Built-in Double Oven in stainless steel combines versatile cooking space with a co-ordinated design to suit every style. 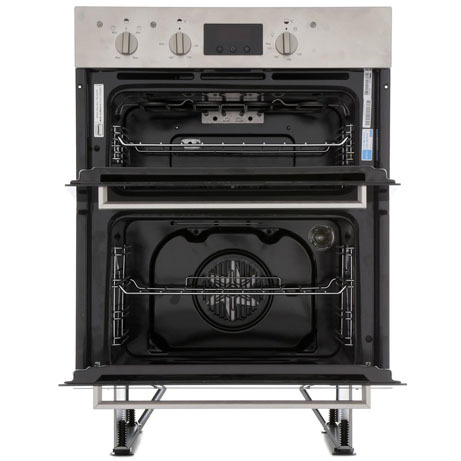 With 59L of cooking capacity in the main oven, there’s plenty of space for making all the family favourites. Featuring fan assistance you can enjoy a more even approach to cooking with less chance of cold spots or heat pockets. 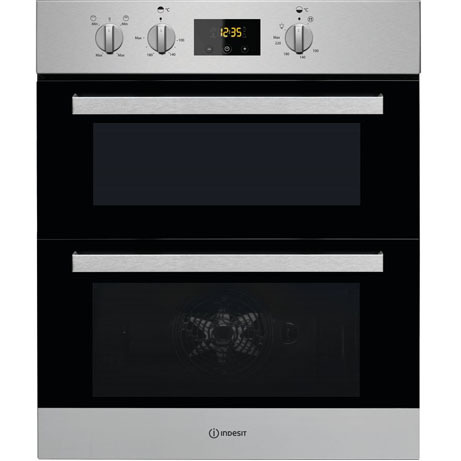 Complementing this, 37L of space in the top oven, gives you plenty of room for smaller/side dishes. Featuring enamel liners to provide an easy clean surface for food spits and fat, plus an in-built Digital Timer to make sure you always cook to perfection. 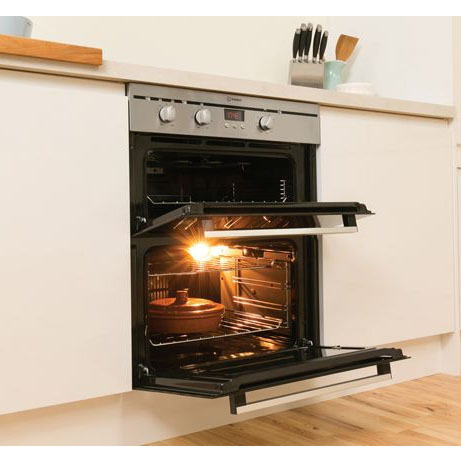 With a full-width Twin Grill in your oven, get precise heat to brown off your bakes and grill meats. Then, when you’re ready for some cheese on toast, use the single grill setting to save energy and achieve the same great results.